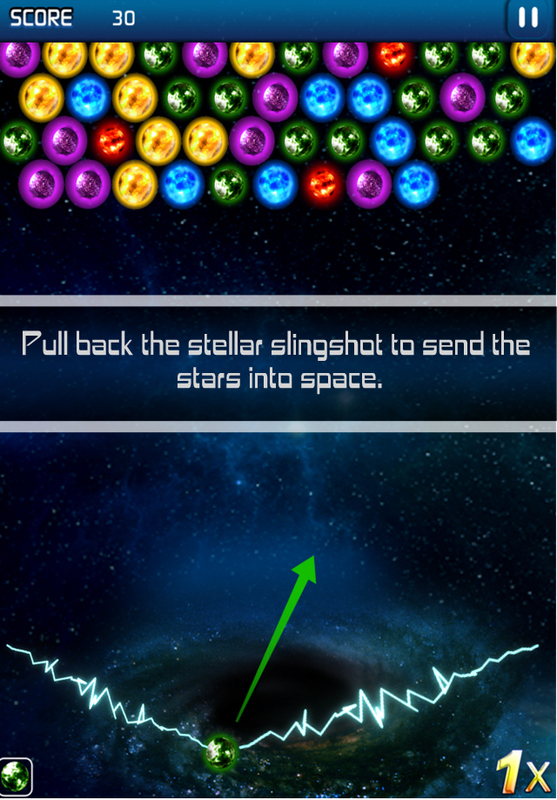 Save the universe by slinging the right stars across the universe in this galactic bubble puzzle game. 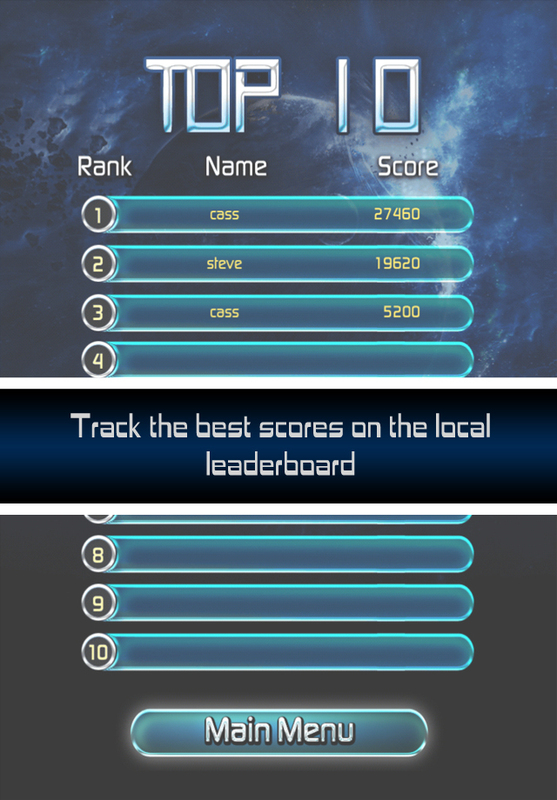 TRY IT NOW FOR FREE!! 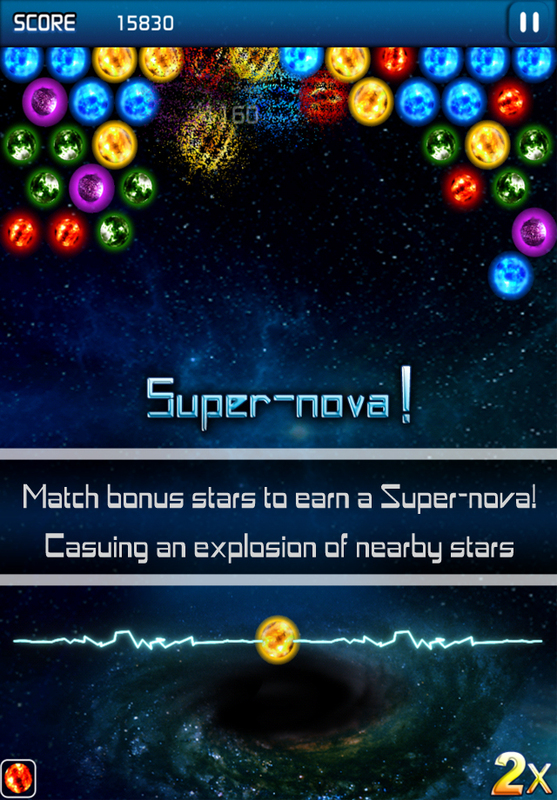 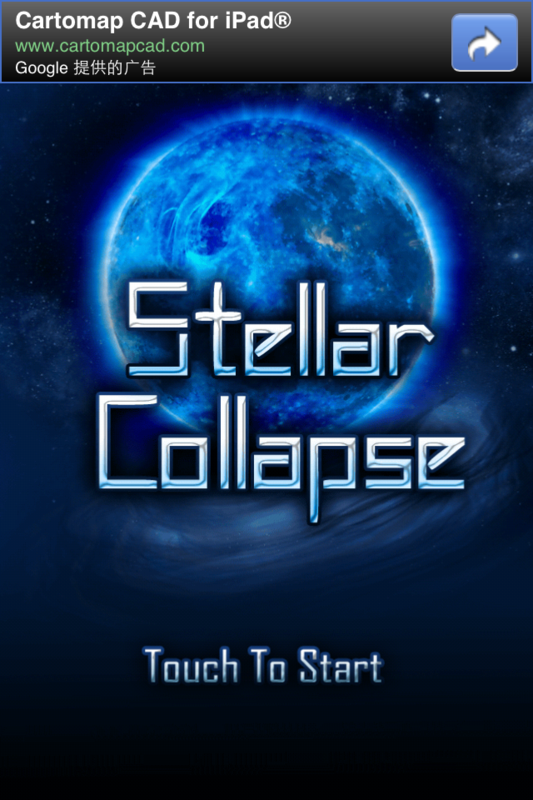 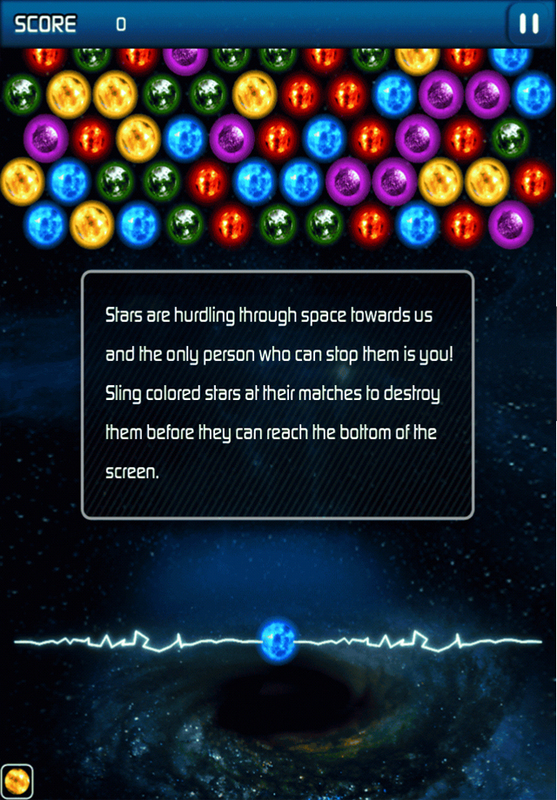 Match 3 like colored stars to explode them from the screen, watch out for supernovas and other stellar bonuses to help destroy even more stars.